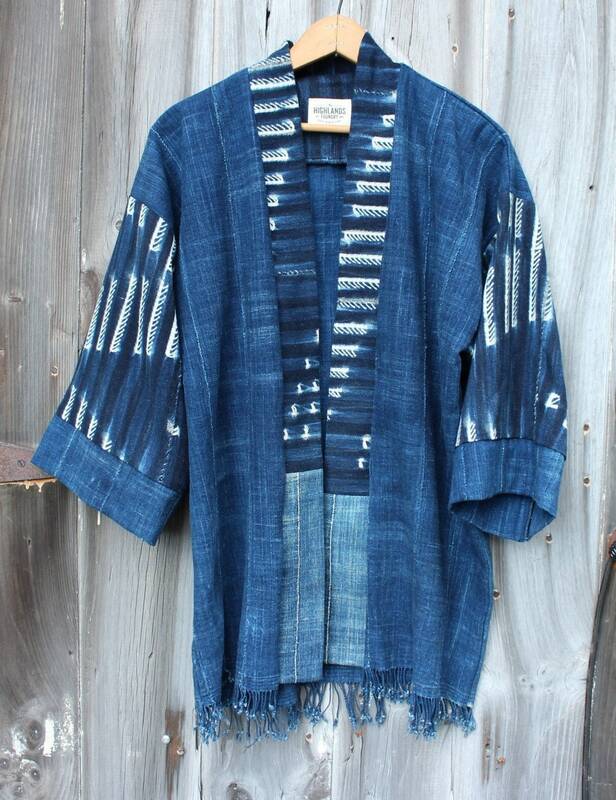 We chose several vintage hand woven and indigo dyed cotton blankets from Burkina Faso, West Africa to create this one of a kind jacket. 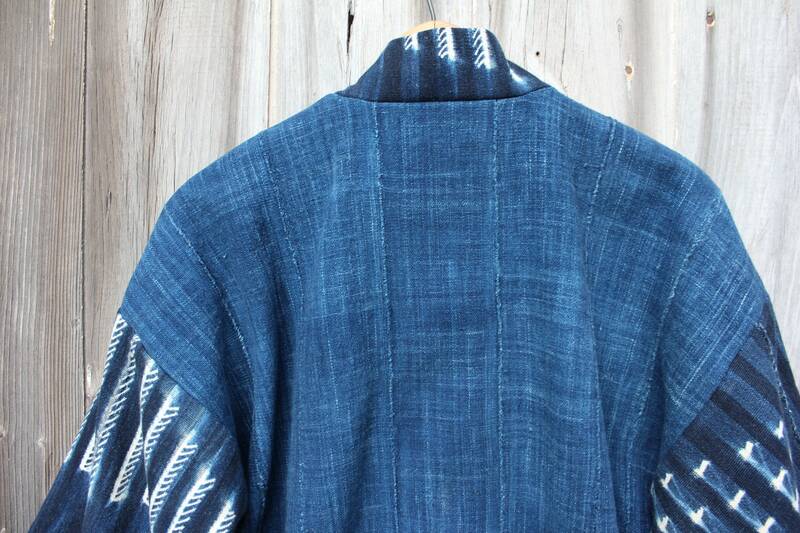 The solid Indigo cloth for the main body is such a beautiful shade of indigo. 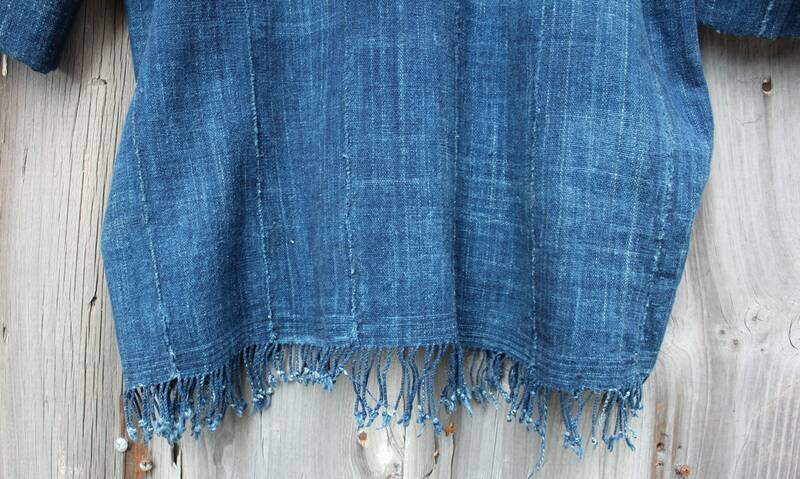 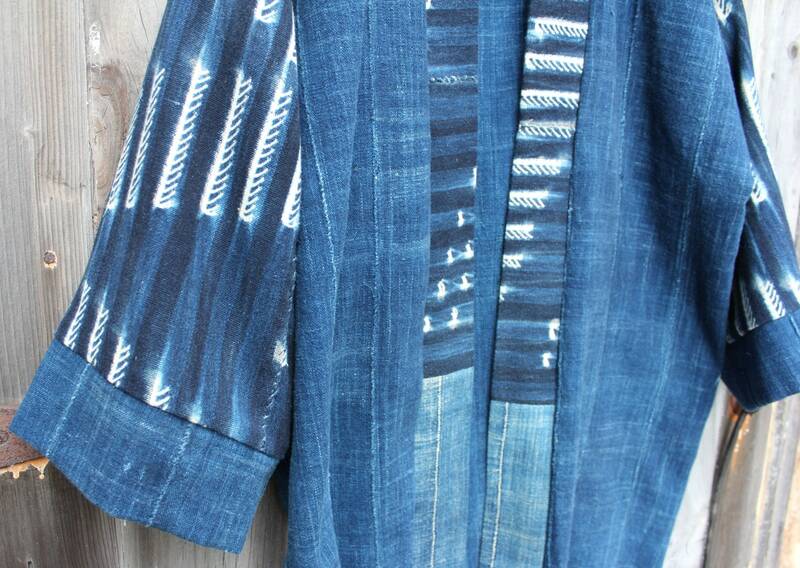 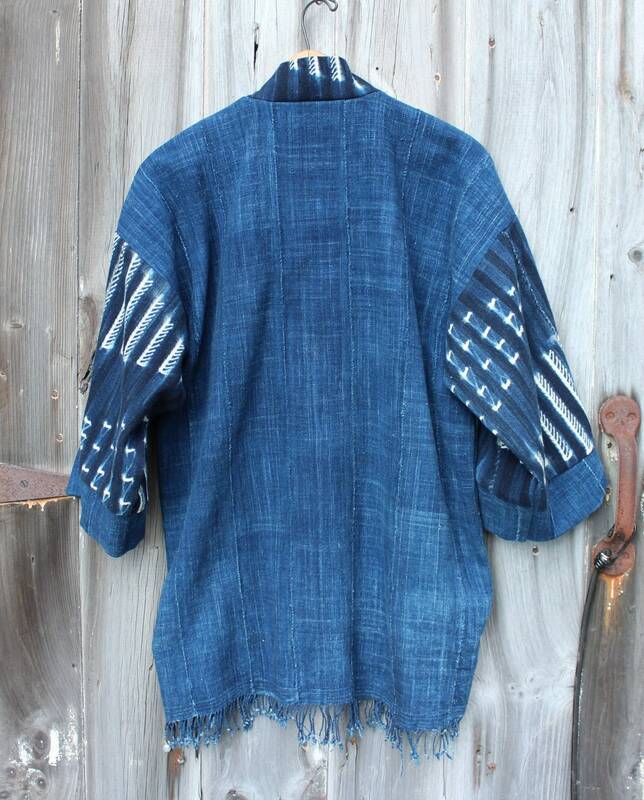 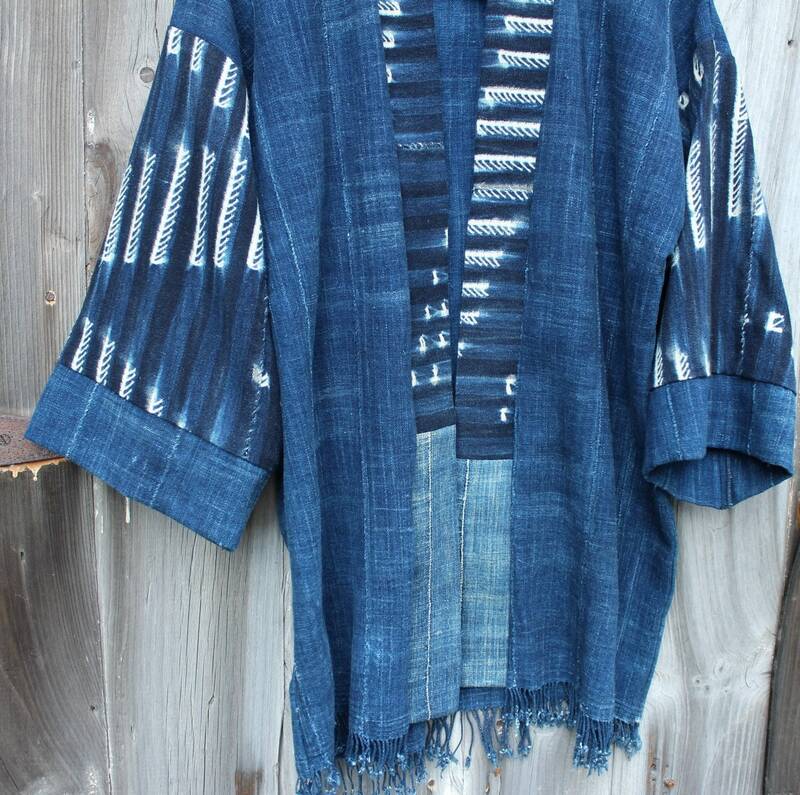 The sleeves and the front band is made with an amazing shibori dyed Indigo cloth. 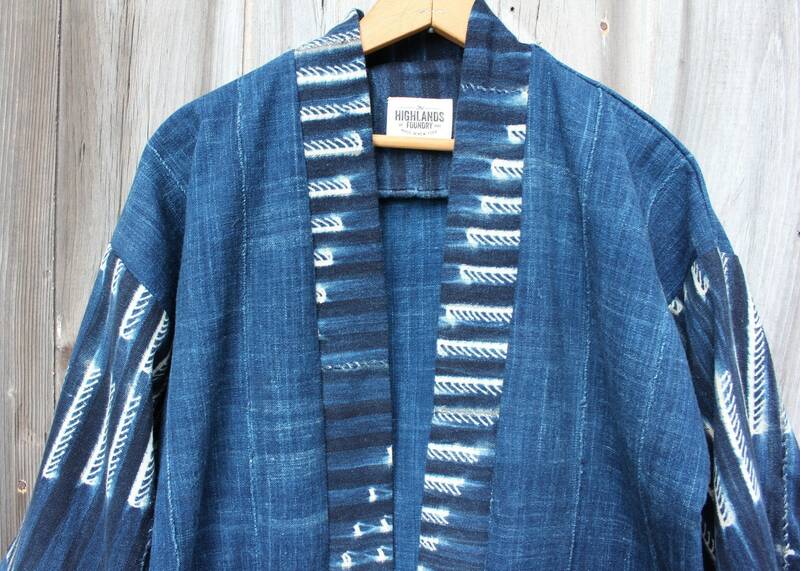 The jacket is a very relaxed fit and is one size fits all and a unisex piece.